New to climbing? Or would you like to learn some new climbing techniques. Join us this Friday 18th October at the Kempston Outdoor Centre.We book the whole place to ourselves (so you won’t feel like an idiot if you are just starting). The session will cost £10, which covers transport, equipment hire and an instructor for 2 hours. Our first session will cover “Tying on and belaying, grading systems and effective communication” You can attend as many of these as you want until you feel more comfortable with climbing and then perhaps give Big Rock at Milton Keynes a go. Our first climbing session will be Friday 18th October from 19:00-21:00. We can only take 10 people at a time. We had a sign up sheet on our social night on Thursday so at the moment there is only one space left. If you are interested email walking@cranfield.ac.uk with “SARAH – CLIMBING” in the subject title. If you are a driver and are willing to drive there can you mention this, we will pay all fuel costs. 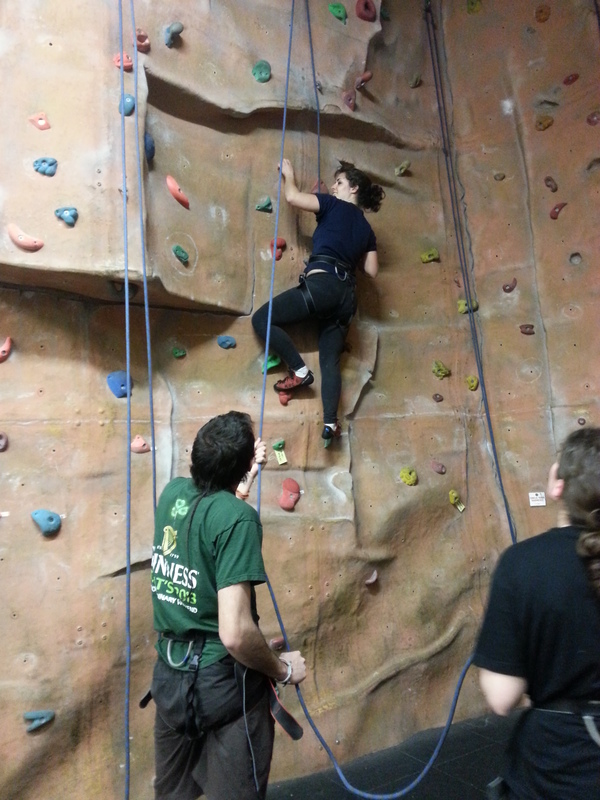 Our next climbing session will be the following Friday 25th October from 19:00-21:00. If you are interested in going can you email us also, we only have 3 spaces left for this. Climbing at Kempston! Kempston. April 2012. This entry was posted in Blog, More than walking, News, Past events and tagged class, Climb, climbing, introduction, Kempston, wall.